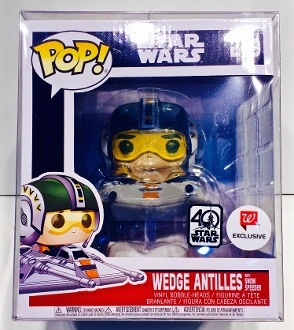 1 custom made box protector for Wedge Antilles with Snow Speeder! This also fits Boba Fett with Slave One. These do not fit Kylo Ren, Poe Dameron or the Luke/Leia Speeder bikes but we have those three sizes on order now. These do not have the auto-locking bottom like most of the other Funko items. They were ordered that way but it didn't happen but they fit perfect and just have flaps on the top and bottom instead.